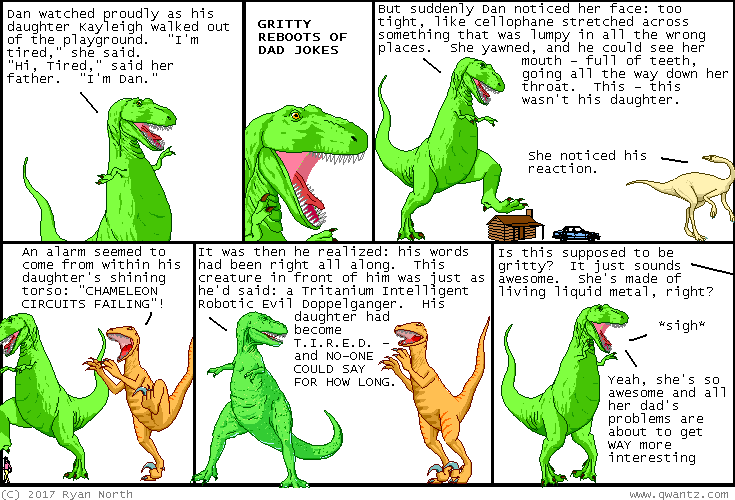 Dinosaur Comics - March 1st, 2017 - awesome fun times! March 1st, 2017: Welcome to March! A year ago my calendar was mysteriously open to this month so I guess we can all expect good things?? What could possibly go wrong, right?? One year ago today: Mancave Steele is a name I lifted from a sign I saw. The sign said "MANCAVE STEEL SIGNS" but after reading the first two words I was like, "on your way, sign! I've got all I need from you".